Beefeater 24 gin inspired me to concoct this simple cocktail that plays with the tea and citrus notes of the liquor. I think it accentuates the spirit’s flavor and is a good match for its smooth and rich nuanced character. Using frozen fruit and berries as ice cubes is a new thing I’ve been doing lately. Not only is it pretty, but it cuts down on the water that will be added to your drink if you’re not a fast drinker. Also it slowly imparts a bit of the fruit flavor for a subtle twist. Top it off with a splash or two of club soda if you want to add a little bit of effervescence to your day. Steep the tea bag in the gin for about 10-15 minutes (I overpoured a little bit, since some liquid will get lost in the process). The resulting liquid should be the color of a dark cup of tea. Mix the honey into the warm water so it dissolves. Pour the gin tea, honey-water and lemon juice over ice in a cocktail shaker and shake very gently. 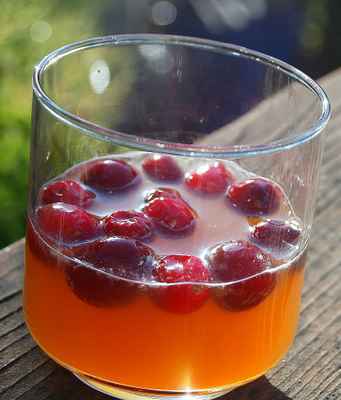 Pour into a rocks glass and add frozen cranberries. 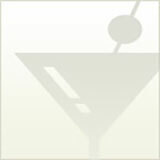 Optional: top off with splash of club soda.